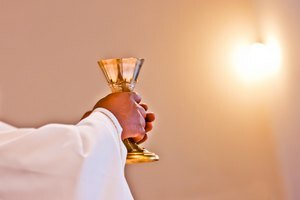 How Are Communion Services Conducted? The Eucharist is the center of Anglican worship. Anglican worship is organized and ritualistic. The basic format of the Anglican worship service is the same from one church to the next, all over the world. Key elements of Anglican worship include prayer, Bible readings, music, a homily and the Eucharist. From the design of the worship setting to the flow of the worship service, Anglican worship is intended to revere, honor and worship God and provide a spiritual encounter for the believer. Anglican churches vary in their architecture and decor. Common components include stained-glass windows, pews, and a space solely for worship called the sanctuary. 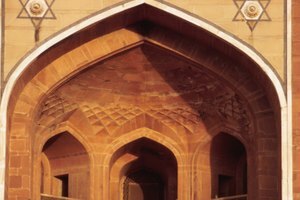 The sanctuary is considered sacred and Anglican worshipers typically reserve conversations and other interaction with the other members of their fellowship for outside of the sanctuary. Every Anglican sanctuary contains a cross and an altar. 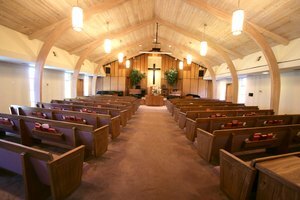 Some Anglican churches have additional space for social gatherings, classrooms and child care or nursery rooms. The Book of Common Prayer contains a number of variations of Anglican services. Each service or "liturgy" follows a well-defined pattern, including readings from the Old Testament, New Testament and Gospels. 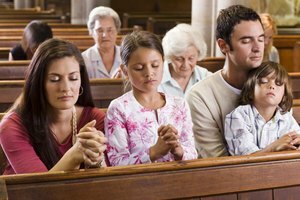 There are liturgies for special occasions including funerals, weddings, ordinary services and services for special events during the Christian year. The Anglican Church in each country often has its own Book of Common Prayer, although some countries share the same version. While some Protestant traditions emphasize the sermon in their worship services, Anglicans center worship around the Eucharist. 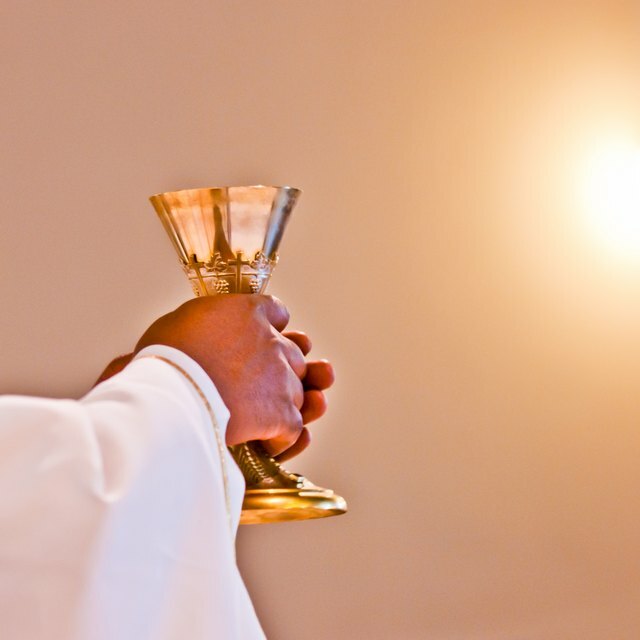 The Eucharist is offered nearly every time Anglicans have a service. Weekday services typically feature only the Eucharist as well as a few scripture readings. Anglicans allow any baptized Christian to participate in the Eucharist, whether they're Anglican or not. Anglican worship services involve lots of standing, sitting and kneeling. Upon first entering the pew for worship, Anglicans typically kneel for a time of personal reflection and prayer. During the Liturgy there are prescribed postures for each component. it's common to stand during hymns and canticles, as well as when reciting the Creeds and during Holy Communion. Anglicans usually sit during New Testament and Old Testament readings as well as during the sermon and choir performances. Anglican worship changes based on the Christian calendar. During Lent, for example, services are focused on the life, suffering, death and resurrection of Christ. During Advent they focus on the birth of Christ. New Testament readings are sequential during "normal time," the period between Pentecost and the Advent season. Scripture readings are proscribed for each season. Clerical dress changes with the seasons of the Christian calendar, as well. Allen, Robert. "How Do Anglicans Worship?" 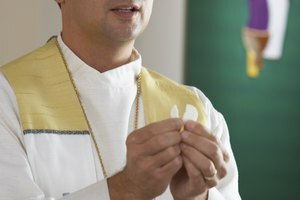 Synonym, https://classroom.synonym.com/how-do-anglicans-worship-12086100.html. 29 September 2017.